This is the story of Will Crooks (1852-1921), leader of the great London docks strike of 1889 and later an early Labour MP. A powerful public speaker and one of the first ever Labour MPs, Will Crooks was a towering figure in the politics of London’s East End for 30 years from the great docks strike to his death in 1921. Born in Poplar, the son of a ship’s stoker and a seamstress, Crooks experienced extreme poverty in his early life. When his father was disabled in an industrial accident, the nine-year-old was forced into the workhouse along with other members of his family, where he saw the casual cruelty of the poor law system and bread riots as men fought each other for a few scraps. Although Crooks’ mother was eventually able to scrape together enough work to rescue the family from the institution, money remained tight, and Crooks found work as a grocer’s errand boy on two shillings a week as soon as he was able. He would later be apprenticed to a cooper at the age of 14, joining the coopers’ union of which he remained a member for the rest of his life. Sacked as a political agitator for his efforts to secure a pay rise, Crooks and his young family were forced to leave for Liverpool. But when his young son died, the family returned to the East End and Crooks found work as a casual labourer in the docks, where he continued his trade union activities. From the long but eventually successful great docks strike of 1889, there emerged a new trade union movement among unskilled and semi-skilled workers. At its heart was a new cadre of union leaders, among them Tom Mann, Ben Tillett, John Burns and Will Crooks himself. The same year, Crooks won election to London County Council; he would soon become the first working class member and chair of Poplar’s Board of Guardians, using his personal experiences to reform conditions in the workhouse with the support of fellow Labour member George Lansbury. 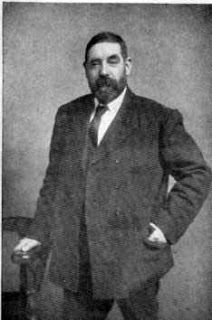 Crooks became the first Labour mayor of Poplar in 1901. Two years later, with the support of the Liberal Party and the Labour Representation Committee, he wrested Woolwich away from the Conservatives to become only the fourth Labour MP. As an MP, Crooks worked to secure pensions and unemployment benefits, and to reform the House of Lords. Re-elected at the general election of 1906, he and other Labour MPs backed the reforming Liberal governments of Henry Campbell-Bannerman and Herbert Asquith. Although he lost his seat in January 1910, he reclaimed it in December the same year and remained an MP until ill-health forced him to retire in 1921. Crooks’ later parliamentary career was blighted for many by his strong support for the first world war, particularly during its early days when many Labour figures stood out against it. During 1914, he travelled 6,000 miles speaking to more than a million people in his efforts to encourage men to enlist. After one visit to the front in 1915, where he was confronted by troops concerned by strikes at home, he returned to denounce the new militancy sweeping industry. He was rewarded in January 1916 by being made a privy counsellor.